This quirky 1960-70's brooch is by Joseff of Hollywood the well known costume jewellery designer and manufacturer. 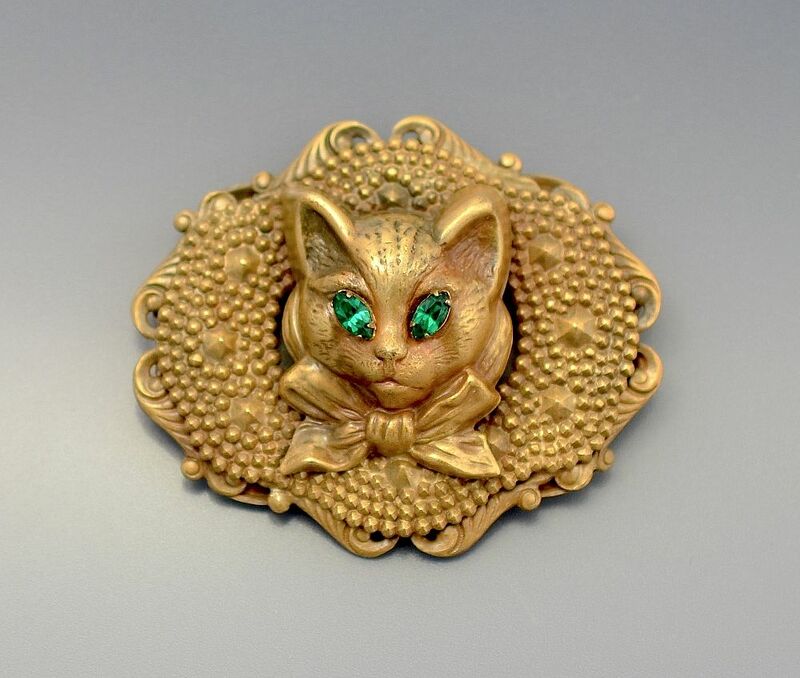 It is in bronze tone metal and is the form of a framed cat's head with marquise shaped green paste eyes. 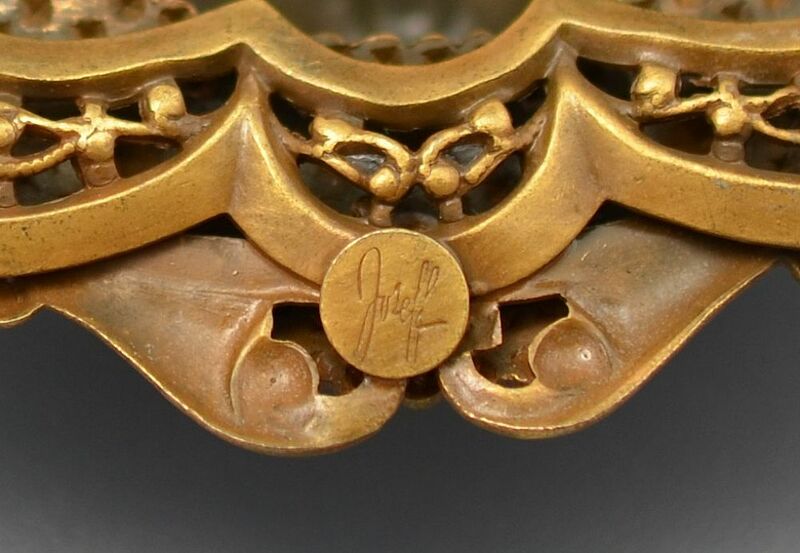 Signed Joseff in script this is a great statement piece of jewellery by an iconic name.